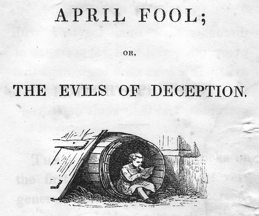 April Fool, or The Evils of Deception (1852) "The custom of playing tricks on the first day of April is one of very general prevalence. Many persons encourage children to practice those tricks through a mistaken idea of their innocence. The object of this little book is to exhibit some of the evils of deception, even when practiced in a form so apparently harmless and so pleasing to many. It will also indicate to parents and teachers the decided opposition with which they ought to discountenance this, together with every other evil, and 'appearance of evil.' It is from such beginnings that the young too often have their morals corrupted, and their souls destroyed." 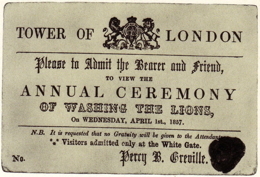 Washing the Lions (1857) "Please to Admit the Bearer and friend, to view the ANNUAL CEREMONY OF WASHING THE LIONS on Wednesday, April 1st, 1857." Pranksters handed out these cards on the streets of London to unsuspecting out-of-towners. The joke was that there was no lion-washing ceremony at the Tower of London. 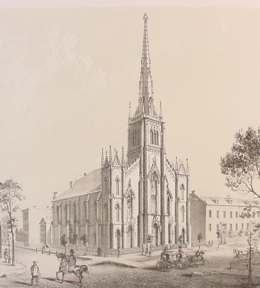 By 1857, there weren't even lions at the Tower. 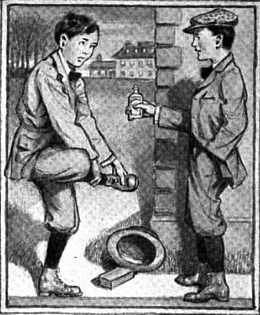 Versions of this prank had been regularly perpetrated since the 17th century, making it the oldest April Fool's Day joke on record.